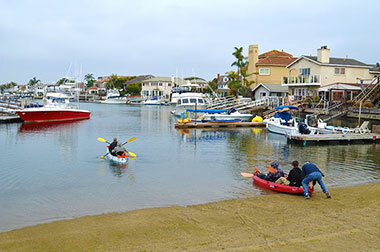 Its roots began as a small kayak rental shop in Huntington Harbor, California. 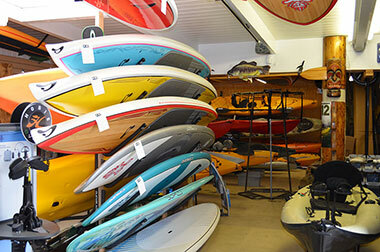 Andrew Allen, an avid kayak fisherman purchased OEX Sunset Beach in the spring of 2007 when it was a factory outlet for a popular kayak brand. At first, owning the seaside shop was rewarding, fun and profitable. He was sharing his passion for kayak fishing with whoever walked through the doors, without having to do much marketing. He could close his doors and chalk it up to experience, try selling his shop, or embrace the challenge as an opportunity for innovation. Nearly all businesses, no matter how large they are, have faced tough financial circumstances. After all, just 13 years ago Apple was on the verge of bankruptcy. Andrew hung on, determined to succeed by doing things differently. He abandoned the advertising techniques that weren’t working and focused on those that resonated with his market. He also took a leap of faith and expanded his services to include Stand Up Paddle (SUP) board rentals, sales and lessons. He learned through trial and error about effective branding and marketing. Today OEX Sunset Beach is a healthy and vibrant brand. During the summer months the seaside shop is buzzing with locals and customers from across the nation. What led to the turn-around for OEX Sunset Beach? Here are some of the strategies that helped resuscitate the drowning business. Guts and determination, coupled with expanding his services, connecting with the community and implementing affordable marketing strategies. Incorporated print marketing. He’s an advocate of giving away freebies. He’s discovered that stickers and designed compelling postcards. Invited the community to come and learn in group settings. He says sharing and collaborating helps build communities and encourages participation. Contracted instructors to teach innovative group classes, such as SUP Yoga, and SUP fitness boot camps. It’s not unusual these days to see a group of enthusiasts doing crunches, squats, back bends and even pushups on Stand Up Paddle Boards in Huntington Harbor. Kept his staff lean. When he does hire outside employees, he learns what motivates them. Then he incentivizes accordingly. He partners with online communities like meetup, and social coupon sites. He’s discovered that people are more likely to try something new in group settings. He’s in the shop more often than not. Allen’s learned his customers are more likely to do business knowing the owner is there to bounce questions off and talk with. He experiments with various street signage. Changing it up he’s learned, is critical. Otherwise the signs go unnoticed, especially by people who frequent the area. Do a gut check to determine if you are passionate about it and willing to put in the time. If not, don’t be afraid to throw in the towel and try something new. Experiment with a variety of marketing strategies and don’t get discouraged if things don’t pick up immediately. For example, if you do print marketing, plan to do five to six postcard campaigns before you see the rewards. Hire a good graphic designer or learn the basics of what makes marketing material stand out. Get on board with social media. If you have no idea where to start, hire a local high school or college kid. Learn what makes your employees tick, and incentivize accordingly. Plan on spending quite a bit of time at the shop.